Even though the brick-and-mortar stores of Linens and Things closed, you can still find everything they carried at the Linens and Things online store. With deals like free shipping and a special item of the day, you'll find online shopping offers you were never able to get in store. Visit the online store at Linens and Things to browse the inventory by department. Baby: Subcategories include baby gear, baby bedding, car seats, strollers, room decorations, infant feeding, gifts and safety. Bath: Search through bath collections, bath towels/rugs, decorative towels, bath accessories and shower curtains. 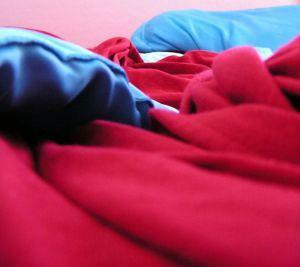 Bedding: Subcategories are comforters, blankets/throws, luxury bedding, sheets, pillows, kids bedding, and quilts. Clearance: The clearance sections change from time to time, but usually include one or more of the main departments. Décor: This category contains everything from wall coverings to vases to candles. You can look in this section whether you are decorating from scratch or redecorating. Dining: You'll find China dinnerware, cookware and serveware, flatware, stemware and table linens in this category. Electrics: Anything related to kitchen electronics is listed here. Many different models of coffee makers, espresso machines, ice crushers, blenders and electric skillets are available. Kitchen: This category deals with cooking. Bakeware, cookware, kitchen tools, housewares, barware, cutlery and cookbooks provide a huge inventory of merchandise. For the gourmet chef, there are special sauces and snacks you can purchase. Pets: The subcategories are listed by pet type, including dogs, cats and birds. Travel: For the traveler, find luggage, wallets, backpacks and business-grade merchandise at the Linens and Things online store. Window: Look through the sections for window panels, window valances, drapes, window hardware, window tiers and blackout liners. Even though the Linens and Things online store has an entire section dedicated to clearance, the other categories may not be listed, even if they have clearance items. When you select a department, look for a clearance subcategory. It's possible you will find some hidden gems. Most of the deals are visible on the store's front page. One ongoing promotion the Linens and Things site offers is free shipping. Most of the time the free shipping is for orders over $99, but if you check the website frequently, that amount will fluctuate. The holidays appear to be the best time to catch a lower shipping minimum.Located at the bottom of the main page is the "Hot Deals" section. Anywhere between six and ten items are listed at great prices that are 33% to 80% off. Check back daily because these deals don't last very long. The Deal of the Day represents product that is on sale or a clearance item that is ridiculously marked down. Of course, this deal changes daily, so bookmarking the website is beneficial if you want to catch the latest steal. Got a wedding around the corner? Why not register at the online version of Linens and Things? You can register in the comfort of your own home and choose from many more items online than you ever could from one of the previous physical stores. Also, your wedding guests can shop from the comfort of their own homes and even have the gift shipped to you if they desire. At Linens and Things Buying Guides you can learn what to look for in bed, bath and home products. You can learn how to buy bath accessories, tablecloths, window treatments and more. For instance, the window treatment guide has complete descriptions of treatment options and gives instructions on how to care for the treatments and how to measure them. The site will only ship to the continental United States. When there isn't a free shipping promotion, shipping costs start at $8.99 and increase with every $25 in purchases. The standard time frame for shipping is seven to ten days. With a large selection of products and convenient online ordering, it's easy to see why shoppers are interested in the Linens and Things website.